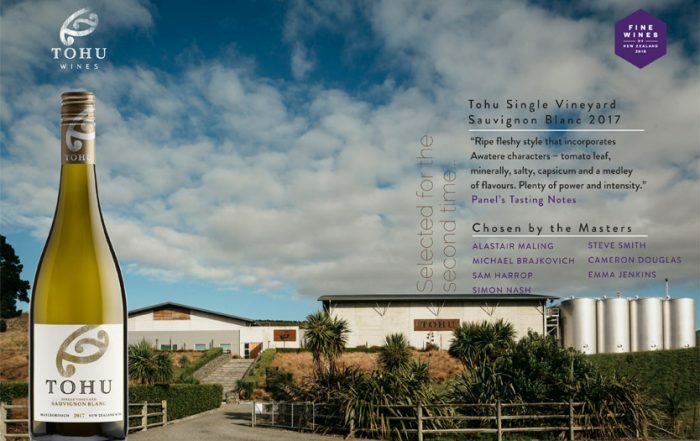 Launched in 1998, Tohu is the world’s first Māori-owned wine company. Māori are the indigenous people of Aotearoa New Zealand. As a Māori company, Tohu is committed to conserving the environment and investing in industries that will continue to provide for the owners for many generations to come. Their participation in the wine industry reinforces their values and vision for the future. It is also a way of promoting Māori culture to the world. Located in Marlborough, all their wines are produced from grapes grown on their own vineyards at the upper reaches of the Awatere Valley, some 200 m above sea level. With a cooler and drier climate than other parts of Marlborough, the growing season is longer and ripening slower. Careful management and monitoring over the years have allowed the winemaking team to select parcels of fruit to harvest at the optimum time. All vineyards are certified by Sustainable Winegrowing New Zealand, Tohu is CEMARS accredited and all wines are carboNZero certified.